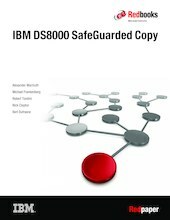 This IBM® Redpaper™ publication explains the IBM DS8880 Safeguarded Copy functionality. With Safeguarded Copy, organizations have the ability to improve their cyber resiliency by frequently creating protected point-in-time backups of their critical data, with minimum impact and effective resource utilization. The paper introduces Safeguarded Copy and discusses the need for logical corruption protection (LCP) and information about regulatory requirements. It presents the general concepts of LCP, and then explore various use cases for recovery. The paper is intended for IT security architects, who plan and design an organization's cyber security strategy, as well as the infrastructure technical specialists who implement them.